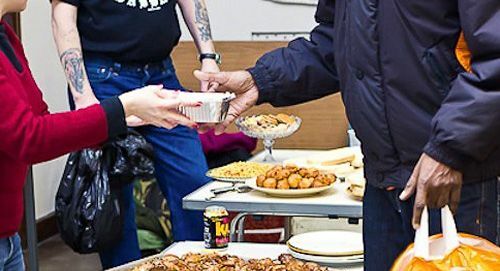 Our Monday evening drop-in offers a free hot meal, friendship and donated items. It is open access to anyone who is homeless or vulnerably housed, or who can't afford the pay for both food and housing costs. If you would like to help out or work with us in any way, or have any other questions about the drop ins, please get in touch. We need your support to make sure everyone has a friend to turn to this Christmas. Can you help?